We provide people affected by sight loss, or those supporting them, with specialist information that will enable people to make informed decisions. This expert guidance can be given over the telephone, using email or in a face to face meeting. Like any health condition, when you are newly diagnosed, or face a change in your circumstances, you’re likely to need some support to understand what impact the condition is going to have on you and your daily life. You’ll need help to understand about the type of support available, where to make a start and how to obtain this support. We’re here to provide people with the information to help them to overcome everyday challenges and to encourage and support people to take the first steps to independence. Our services are also available for people who have been diagnosed with sight loss for a long time, as our experience tells us that there are still barriers to accessing some information and services. 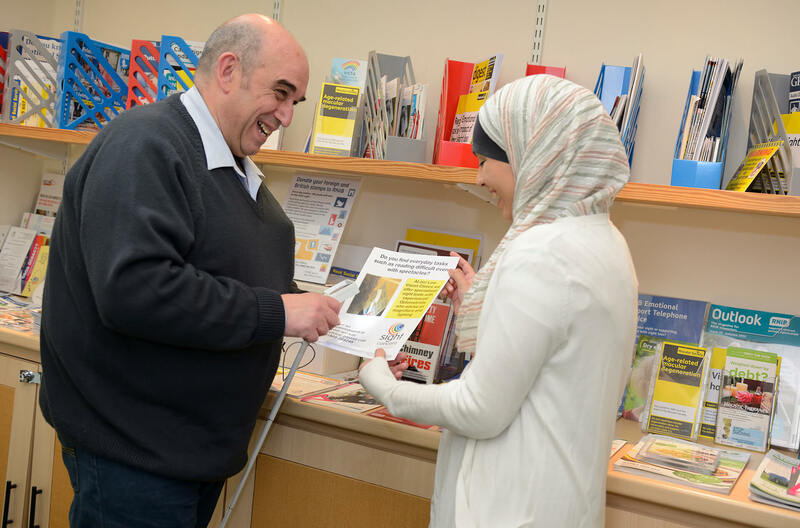 Our Advice and Information staff and trained volunteers are friendly and knowledgeable professionals however, please be aware that they’re not medically qualified so cannot give medical advice. All calls are confidential. If you have any questions relating to sight loss, please get in touch on 01905 723245 or email us here.